Want to give your bottles that personal touch? Perfect for special occasions and gifts, for a small additional fee, Whin Hill Norfolk Cider will deliver your order complete with personalised bottle labels! 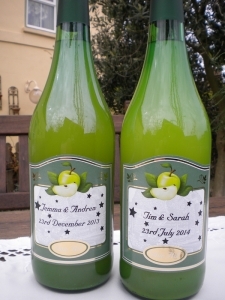 Whether it be for Weddings or birthdays, Christmas or just for fun, personalising your bottles of cider or apple juice adds a novel finishing touch to any occasion! 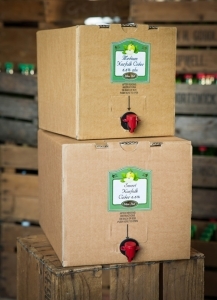 All varieties of cider (with the exception of the Extra Dry Premium cider) are also available as a Bag-in-a-Box in 10 or 20 litre sizes. These packs provide fantastic value for money when purchasing for an event, party or Summer BBQ! If you would like to purchase your favourite variety as a bag-in-a-box, please contact us for further information.